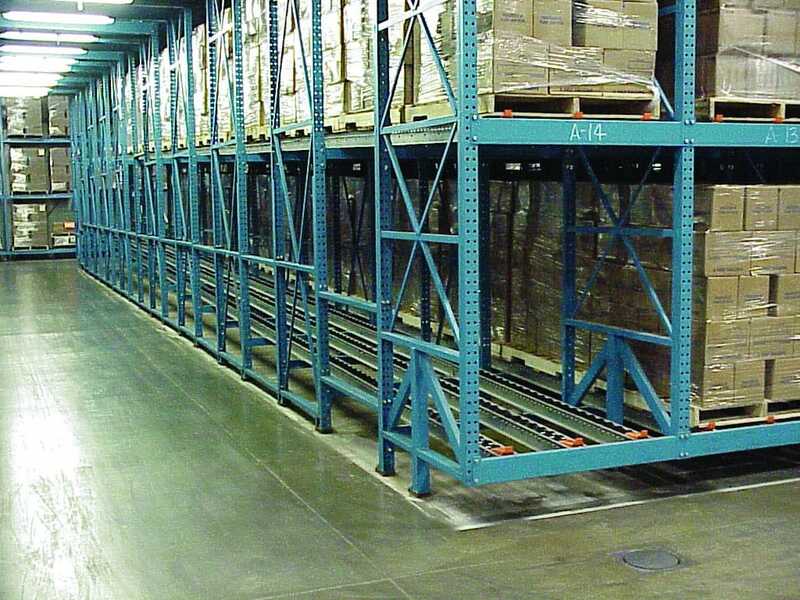 DeepLane Pallet Flow Racking System | Gravity Flow Systems - Westfalia Technologies, Inc.
Superior system components for durability and high performance. Your business’s storage system has unique material flow and layout requirements. If you are considering a gravity flow system as your solution, our DeepLane pallet flow racking systems will provide it. 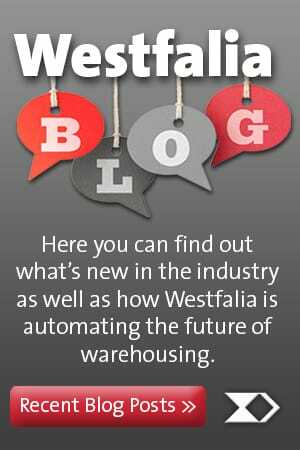 At Westfalia Technologies, however, we continuously strive for more innovative solutions and also encourage our customers to consider a fully automated system, utilizing high-density automated storage. If you are looking to combine single-deep or double-deep AS/RS storage lanes with high-density, multiple deep configurations in the same aisle and using the same storage and retrieval machine (S/RM), we have extensive experience at creating this automated solution for you. If you’re committed to a gravity flow system instead, read on to learn how that system will benefit your operations. These flexible and durable gravity pallet flow rack systems can be designed to work side by side with your warehouse management system (WMS) and automated storage and retrieval system (AS/RS) to improve warehouse efficiency while maintaining and organizing inventory. 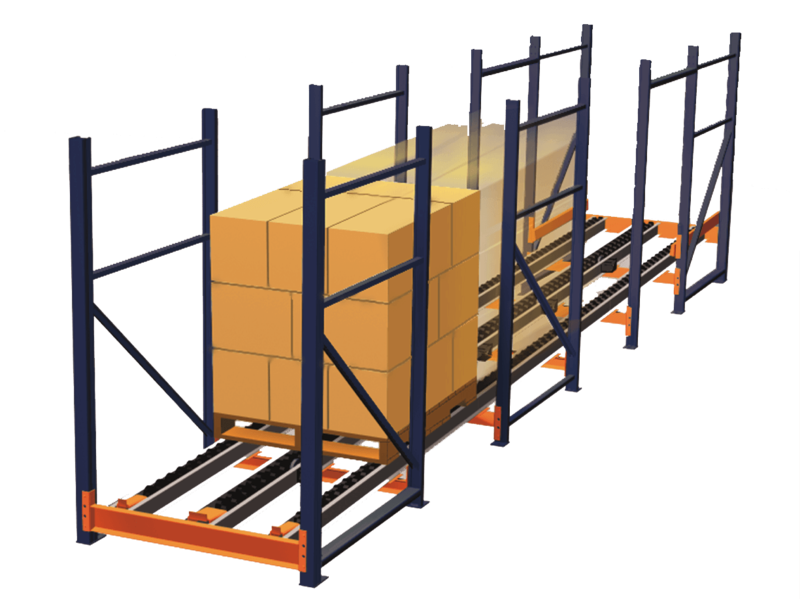 These warehouse pallet flow racks can double or triple the capacity of a warehouse, and they are easily integrated into a conventional or automated warehouse. As an alternative to drive-in static racks, or storing pallets on the floor, DeepLane is ideal for freezer and cooler warehouses, food distribution centers and the storage of high-volume consumer goods. When pallets are deposited into the DeepLane gravity flow pallet rack system, the gravity flow design allows pallets to automatically convey and accumulate at the discharge end. DeepLane requires no power or air source. Therefore, this storage system offers the benefits of higher density storage and reduced labor and handing costs, without additional operating expenses. The first load in is always the first one out in a DeepLane storage system. 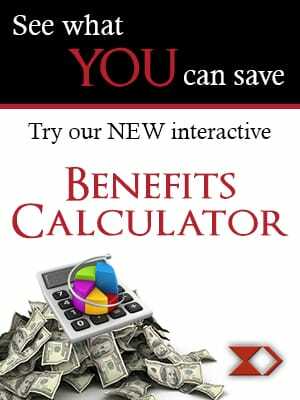 This first-in, first-out (FIFO) inventory rotation is ideal for the food and beverage industry and other businesses that carry time-sensitive goods. 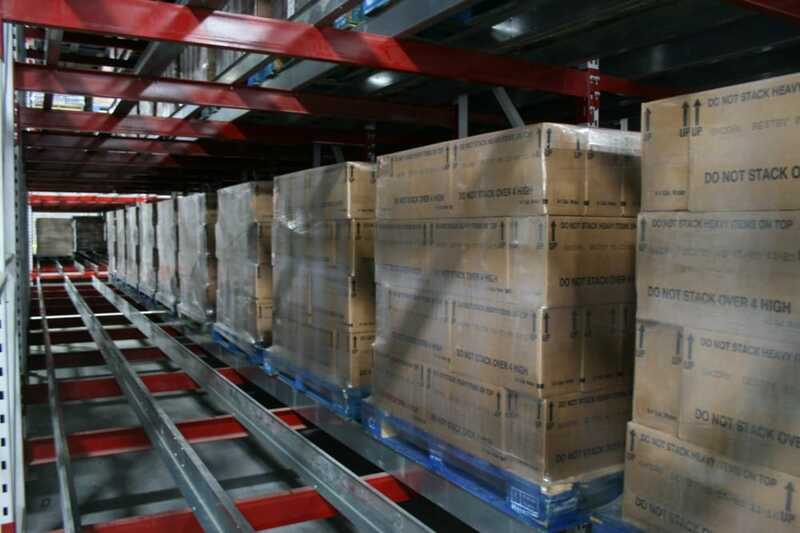 Maximizing warehouse productivity and efficiency is what we do best at Westfalia. With a complete line of AS/RS systems, fully equipped with warehouse execution software, gravity flow systems, and automated picking and conveyor systems, we can offer your business an effective solution to handling and distributing goods in a timely fashion. Whether you supply food and beverages, pharmaceuticals, chemicals, etc., contact us today to discuss how our pallet handling equipment can help you!